Read Notice to Individual Consumer Debtor Under § 342(b) of the Bankruptcy Code. Complete our client information form online. If you prefer, you may print a copy of the information form and fill it out as completely as you can. If you do not know all of your creditors, you might wish to contact a credit reporting agency and request a copy of your credit report. Be aware, however, that the report might not list everyone that you owe money. 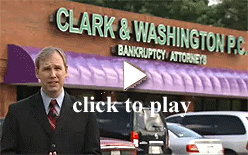 All consumers who plan to file for bankruptcy must complete a pre-filing counseling session. Through our relationship with Consumer Financial Education Foundation of America (CFEFA), we offer you a fast, convenient way to fulfill this requirement. If you are confident you will be filing or if timing is an issue, you may want to complete this counseling prior to your office visit. For more information, visit the CFEFA website.